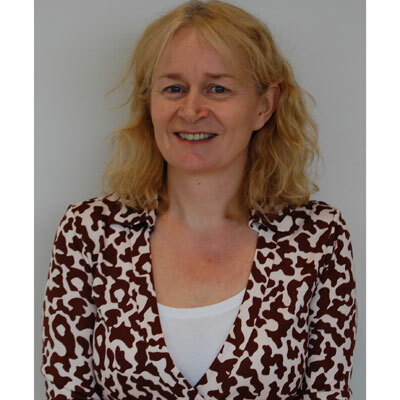 Janet O'Sullivan joined the StorageCraft team as Channel Marketing Manager in 2014. As part of her role, Janet has had the opportunity to reach out to StorageCraft partners and discuss the challenges they encounter. She works personally with the partners to find and develop ways in which they can mutually deliver growth. Before StorageCraft, Janet worked in a Supply Chain Management role with Kerry Group - Global Food Company. This role offered a series of exciting challenges that helped Janet broaden her commercial experience and allowed her to sharpen her skills in people management. Preceding her work with Kerry Group, Janet worked at Topps International - Global Confectionery and Publishing Company for 16 years in an International Marketing role. During this period, Janet was actively involved in growing the business throughout Europe, the Middle East, and Japan; she successfully delivered both consumer and B2B campaigns. Janet earned her Bachelor of Commerce at University College Cork, which led her to the International Marketing role with Topps International and kicked off her career. I have been very active in working with our Channel partners, particularly our MSP partners, to maximize their opportunities. I have spearheaded some great initiatives including Sales/Marketing boot camps, where we train our partners to maximize Disaster Recovery revenue. I am very proud of the Trailblazer initiative, which I started in 2017 as a series of webinars with leading-light MSPs sharing their experiences. This evolved into a Roadshow in the UK and now is being planned for the United States. Additionally, I have created content on such topics as GDPR and Ransomware to drive lead generation. Also, this year I have collaborated with a number of other Channel partners to drive our business. These collaborations included webinars with Webroot, Qnap, Rapid Fire Tools, and Avast as well as events with Webroot, Kaseya, Inbay, and Email Laundry. In order to raise our company's profile, I have been driving our awards program. I was successful in getting us shortlisted for a number of awards, including Business Continuity Awards and European IT Software Excellence Awards. Goals for 2018: - Leverage our distribution partners to grow our customer base. - Create impactful content that showcases StorageCraft solutions. - Work with our existing channel partners to maximize their opportunities. Cathriona Hallahan, MD at Microsoft Ireland. In a recent interview, she said, "When the head of operations role for Ireland first came up, I didn't get it. And when I asked my boss, he said I hadn't shown the aspiration; he literally didn't know I wanted it. That was a big lesson to me. I did not let that happen again! I talk to young people about being transparent about their ambition." This is great advice for anyone, but especially for women as we tend to be "shy" about our ambitions. To look at Tech ... Like many others I mistakenly thought that tech was for geeks - I was wrong. So, I would tell my 16-year-old self (and any other 16-year-olds I meet): get into tech. It is a gateway to so much opportunity and adventure. It can take you to any industry and any country. With tech, you can create a career that will be hugely rewarding. I would love to have a deeper understanding of Block Chain. Experts are predicting that this will revolutionize the financial industry. Like all new technologies, we in the channel are wondering how this can affect us and how we can maximize our opportunities. I think for me, having a deeper understanding is the first step to becoming an expert and identifying ways for the channel to capitalize on this technology. "Into Thin Air: A Personal Account of the Mt. Everest Disaster" by Jon Krakauer. I am fascinated by people who are willing to risk everything (including their lives) to climb the world's highest peaks. This is a grim account of a climb that went very badly wrong. I enjoyed it because it is an insight into a place I will never see and an adventure I can only experience vicariously.